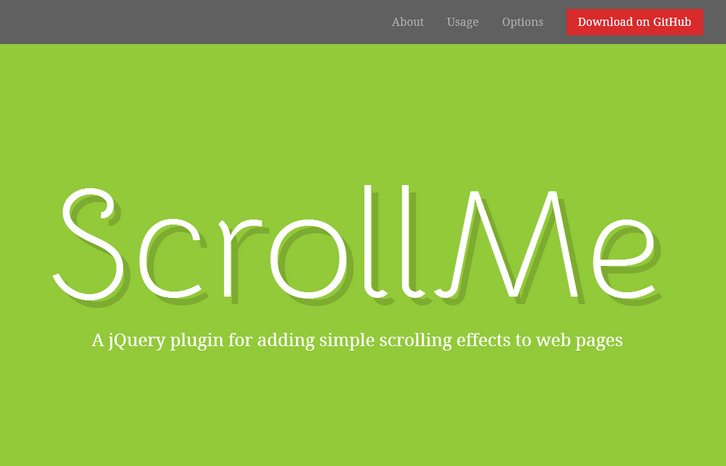 ScrollMe uses a simple declarative syntax: just include jQuery & scrollme.js, add some bits to your markup and ScrollMe will do the rest. The scrollme class defines a container for animated elements. The progression of the animations is based on the scrolling through this element.